In August Iran’s Ministry of Science, Research and Technology decided to bar women in 36 universities from 77 fields of study, according to state-run media. Female students learned of the curbs when they received their registration letters in recent weeks. Among the now forbidden subjects are nuclear physics and oil engineering, but also English literature, English translation, hotel management, archaeology, computer science, electrical and industrial engineering or business management. The Daily Telegraph reported: “[The ban] follows years in which Iranian women students have outperformed men, a trend at odds with the traditional male-dominated outlook of the country's religious leaders. Women outnumbered men by three to two in passing this year's university entrance exam. Australian media did not take notice of the latest discriminatory act of the Islamic Republic. Not a single line was published in The Age, which claims to be an advocate of equality and feminism. And while politicians find it unacceptable, that private societies like the Melbourne club allow female guests but not women members, the blatant step backwards in Iran caused no stir in Australia’s feminist circles. The Iranian discrimination of women come 33years after the Shah’s reforms were overturned by the newly established Mullah regime. With the Shah Mohammed Reza's departure on 14th January 1979, Iran sank into the darkness of the Middle Ages. A reign of terror, of which the Monarch had presciently warned the nation, set in. The first public act of Ayatollah Khomeini, when he took over the reins of power in February 1979, was to abolish women's right to sit in as a judge in a court of law. He initially dissolved the Ministry of Justice, stating that anyone against him was against Allah and should be killed where they stood - with no need for a trial or other justice system. The Monarchs of the Pahlavi dynasty had introduced many reforms concerning women's rights. An example of an early reform introduced by HIM Shah Reza I was the “forced unveiling of women” by a special decree on 8th January 1936 which outlawed the hijab. Iranian women increasingly participated in the economy, the educations sector and in the workforce. Levels of literacy were also improved. Examples of women's involvement: women acquired high official positions, such as ministers, artists, judges, scientists, athletes, etc. Under Shah Mohammed Reza many more significant reforms favouring women were introduced. For example in 1963, the Shah granted female suffrage and soon after women were elected to the Majlis (the parliament) and the upper house, and appointed as judges and ministers in the cabinet. In 1967 Iranian family law was also reformed which improved the position of women in Iranian society. It was included in the civil code and was designed to protect wives, children and female divorcees. The general thrust of the reforms were to promote equality between men and women in society. Shirin Ebadi (*21 June 1947) was admitted to the law department of the University of Tehran in 1965 and in 1969, upon graduation, passed the qualification exams to become a judge, which she officially became in March of 1969. She continued her studies to pursue a master's degree in law in 1971. In 1975, she was appointed the first woman president of the Tehran city court, and also the first ever woman judge in Iran. 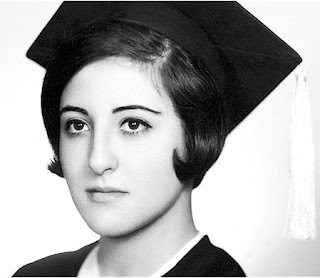 Shirin Ebadi in 1969 after she passed the qualification exams to become a judge. Following the toppling of the Monarchy Ebadi was demoted to a secretarial position at the branch where she had previously presided. She and other female judges protested and were assigned to the slightly higher position of "law expert." She eventually requested early retirement as the situation remained unchanged. As her applications were repeatedly rejected, Ebadi was not able to practice as a lawyer until 1993, while she already had a law office permit. The Iranian Imperial Family offers a whole different concept to the oppressive regime in Tehran. Not only would a Constitutional Monarchy bring a fair and just system to Iran, but the fact, that Shah Reza II has no male off-springs would open the door for a female head of state in Iran. "In the past we have had several Queens who reigned over Iran. If in the future, ensha-allah (God willing) Iran becomes a free and democratic country, all citizens will have the same rights, our Constitution must be amended in this direction. If the Constitutional Monarchy is restored - which I believe is the best solution for my country- a woman can become Queen or occupy any other situation. It will certainly not be like today where 89 women who were candidates for the presidential elections were refused to present themselves because they were precisely women. The Islamic Republic was not able to banish women from elections or dismiss their right to vote, however many laws that protected their rights have been suspended or modified to their disadvantage. Today an Iranian woman cannot ask for a divorce and if a divorce is pronounced the children are under the father’s responsibility or that of his family. My female compatriots are no more normal citizens. Many jobs or responsibilities are refused to them. Thus a woman cannot be a judge because these gentlemen consider that a woman can never be fair in her judgments. One of our most famous compatriots Shirin Ebadi the Nobel Peace Laureate of 2003, was a judge before the revolution. 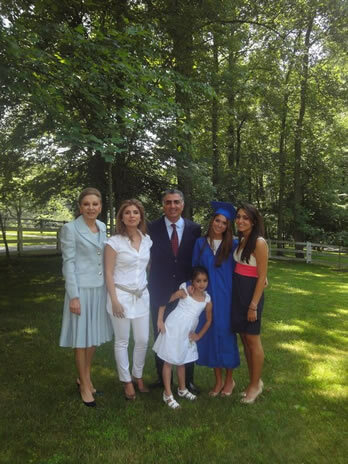 She was banished from her position by the Islamic Republic, and worst she was forbidden to exercise her job as a lawyer for more than five years." 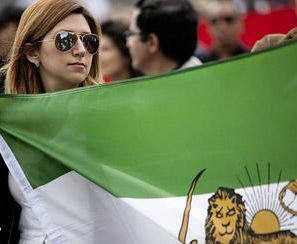 The Iranian women now not only have the chance to oppose the ruling regime, but to actively promote a female head of state by supporting the Monarchist movement. So, now the universities are total sausage fests, bummer! !